Dimitry Kumsishvili, the Minister of Economy and Sustainable Development considered the meeting conducted at the Administration of the Government as important and fruitful. 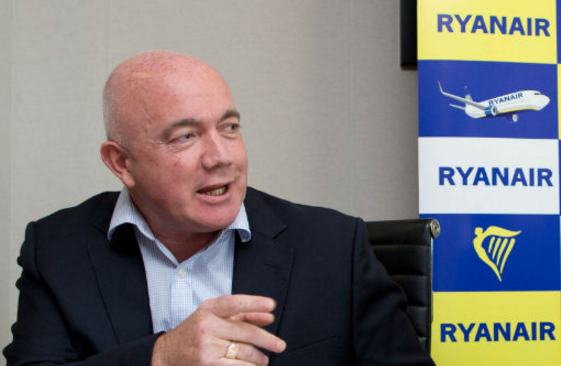 “It was an important meeting, since Ryanair is one of the most fast growing low cost airline on the European market. We have been working with respective company for quite a while and today they visited Georgia with their technical employees to assess the condition of Kutaisi airport as well as evaluate new capacities and directions to make a decision about direct flights from Georgia. We hope that relevant decision will be made as soon as possible,” – Dimitry Kumsishvili noted. The Irish low cost airline “Ryanair” was founded in 1984 and started operating in 1985. At the given stage, its airpark includes Boeing 737-700 and Boeing 737-800 airplanes. Last year the company provided services to more than 90 million travelers. Pursuant to the data of 2015 the airline has 72 bases and is operating in 191 airports.